I am not sure what bug bit the programming team for Fantastic Fest this year, but I was pumped for the amount of documentaries on the list. Not only was there a fair number, but I enjoyed all three that I saw. 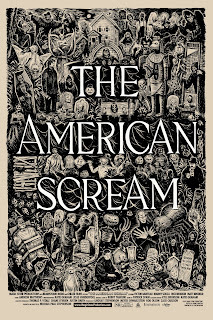 One of them, THE AMERICAN SCREAM, was on my most anticipated list. It's the sophomore feature of director, Michael Stephenson (BEST WORST MOVIE). The film follows three sets of house haunters. Haunters are Halloween obsessed patrons. The typical decorations of jack-o'-lanterns, a couple spider webs, or a random witches broom doesn't fly for a Haunter. Haunters plan all year and and completely turn their homes into mini-haunted houses for one night only. Stephenson struck gold in Fairhaven, Massachusettes, a little New England town where every house feels that it has a creepy history. Here we follow three different families in the month leading up to Halloween. There's Victor, a perfectionist who has roped his family into helping him in his Haunter endeavor throughout the years; Matt, who is a friend of Victor's and has caught the Haunter bug; and finally Matt and his father Richard, who epitomize blue collar yet have a strange creative side they funnel through being a Haunter. Just like his first documentary, Stephenson has such a heart for his subjects. Even though he could have easily twisted Victor's perfectionist personality into a character fueled by ambition and leaving his family in the dust, he doesn't. He instead focuses on the passion Victor emulates and the joy he gets when his house is finally finished. However, if you want to talk about characters, Stephenson struck gold with Matt and Richard. The duo, who look born and bred in this tiny town, are simple minded yet have a cuddly quality to them. They bring some of the biggest laughs in the film, with none of their antics feeling intentional or playing towards the camera. The fantastic aspect about this film is you don't have to be a Halloween enthusiast to enjoy this film. Stephenson showcases the real heart of these characters. You root for them with their different ideas they throw out and cringe when one of their pieces falls apart. These Haunters aren't professionals. In fact, you wonder if Matt and Richard have ever even used plaster or a hammer before while building their alien. They spend countless hours and money on their projects to top themselves from the previous years, and they do it all to hear the joyous shrieks and cries of Halloween night. The film doesn't romanticize this hobby. Vinny's family has financial struggles like everyone else, but his wife finds way to make sure her husband has what he needs for his house. I cannot praise this film enough. If you're not into scary films, but want to get into the Halloween mood, this will raise your ghoulish spirits and spark your desire to seek the Haunters in your area. 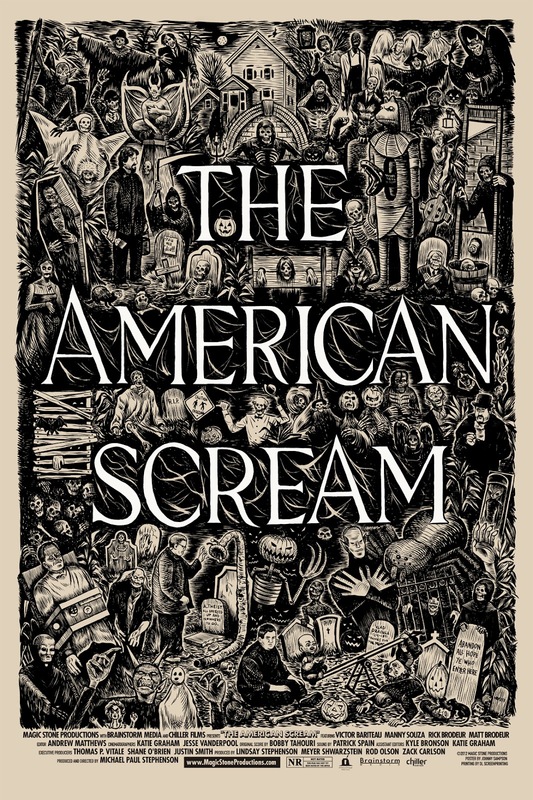 THE AMERICAN SCREAM will air on the Chiller channel on October 28th. Set your DVR accordingly!